Voice Typing is another interesting new feature Google released a few day ago. 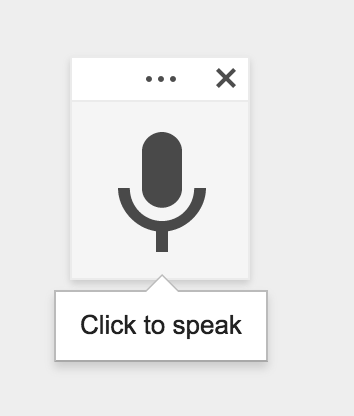 Google Docs’ users can now type with their voice. You can write an entire essay without having to touch the keyboard. You can even use punctuation with voice typing. There are several phrases you can choose from to punctuate your text (e.g ‘period’,’comma’, ‘exclamation mark’, ‘question mark’, ‘new line’, ‘new paragraph’. 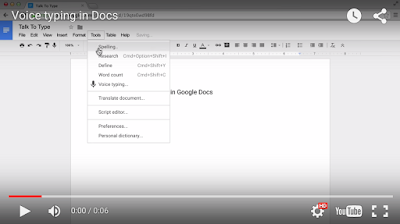 Voice tying for Google Docs is only available on computers using a Chrome browser. 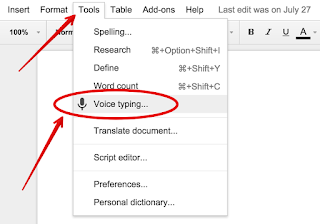 To start using Voice typing, you need to have a working microphone then open a document in your Chrome browser and click on Tools and select Voice typing as shown in the screenshot below. ‘A pop-up microphone box will appear. When you are ready to speak your text, click the microphone or press Ctrl + Shift + S (Cmd + Shift + S on a Mac) on your keyboard. 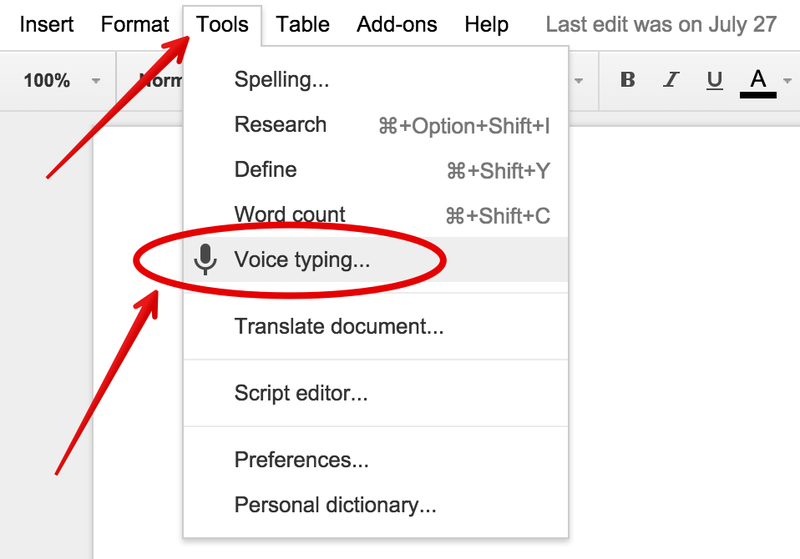 Check out Google Docs help page to learn more about Voice typing.